In my last College Program related post we basically covered the interview process and that I was selected as part of the Fall Advantage 2003 program. Fall Advantage really just means that I worked from June to January instead of August to January (which is the Fall programs schedule). 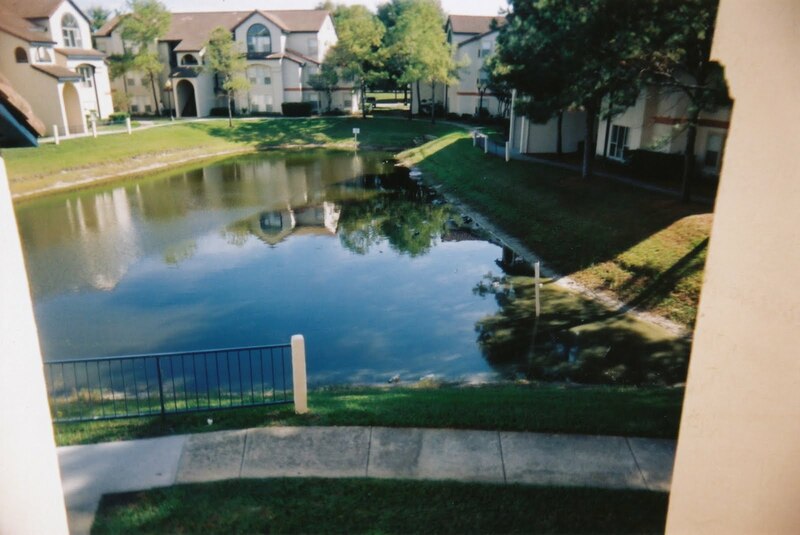 At the time Disney had 3 apartment complexes where CP's lived. Vista Way and Chatham were for regular CP's and The Commons was where the kids in the International Programs lived. Chatham was much nicer than Vista Way, but in May they had moved everyone from Chatham to Vista Way to save money, so we had no choice. At this point you might be wondering "Hey, where is Vista Way?" Next time your driving down I-4 past Downtown Disney and you and your family are staring at the Casting Building, look on the other side of the freeway, thats Vista Way. Vista Way is the oldest of the three, and from what I've heard has been used by CP's since the 80's. Ralf and I arrived bright and early and were the second people in line to check in. We were given 2 options for living arrangements. We could move in with 4 guys from the Spring Program who would be moving out in July/August or move into an empty apartment that they would fill up that day with new recruits. 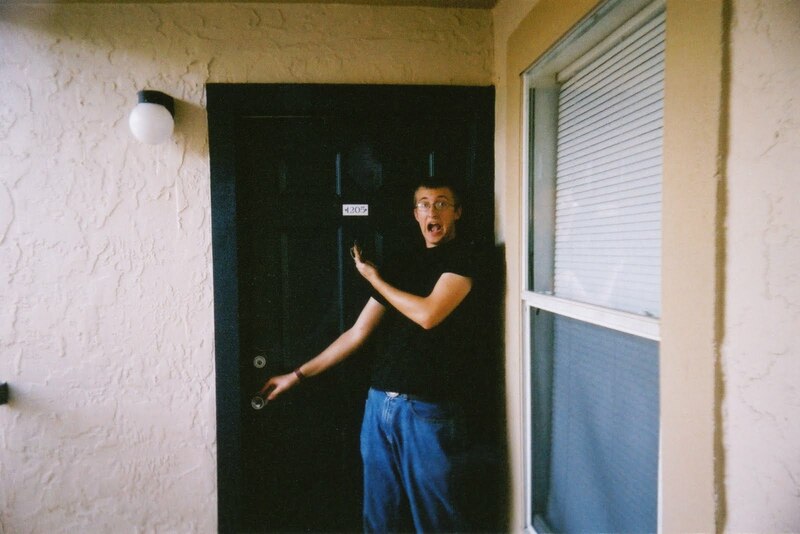 We decided on the already occupied apartment because the guy doing the check in told us we had a good chance of having the apartment to ourselves after our roommates moved out. The gave us apartment 1205, which should be an important number to all of you Disney fans. The apartment wasn't bad, especially for have 6 guys living in it. There is a living room with an open kitchen. Three bedrooms and 2 bathrooms. One bathroom is off the living room and the other is inside one of the bedrooms, so four guys share one and two guys get the other. The bedrooms have walk in closets and each guy gets a side, plus a locker to lock up any valuables. 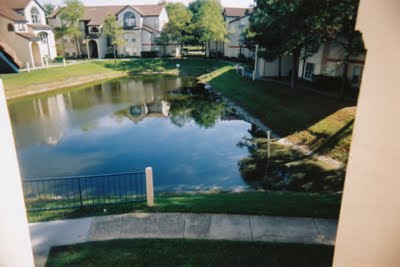 We had a view of the parking lot, but there are plenty of man made ponds all over the complex. Rent at the time was $65 a week which was automatically deducted from your check. We did not have to pay for electricity, cable, or water. If you are under 21 when you check in (like I was until September) you have to live in a "Wellness" apartment which meant no alcohol allowed. If you are over 21 though you can live in an apartment with others of legal drinking age and have all the alcohol you want. If you turn 21 during the program and want to drink you have to move out of a Wellness apartment. That's pretty much it as far as College Program living. During check in we also took pictures for our Vista Way ID. You cannot get into College Program housing unless you have an ID or have been signed in for the day by a CP. The Vista Way ID cards are color coded and change when one program moves out. They also let security know if you are under 21 (in case they break up a party)There is a security booth at the entrance that checks the Vista Way ID of everyone in your car. As you will learn in future posts though, sneaking in is not very complicated. No overnight guests are allowed, security will come after midnight to make sure anyone you have checked in has left. We were also give our job/role (which will be the topic of my next CP post). The first day of the program is actually very hectic, there are all sorts of meetings going on. I actually still have all my paper work so I'll scan the first day schedule and post it. Here's a much younger me at the door to 1205. It is not big deal and very understandable for College students to share living spaces in an apartment. You guys have a really nice place to stay. I have to agree with J.Richmore, that place does look great. That building has been their a long time now. I'm sure that it's pretty safe to live there. Thanks. Your apartment is quite big for one person. It’s like the place I rented before, an apartment for rent in Makati. That place is really suitable for students going to college or just starting to make a living. Thank you very much and have a nice day. I love the location of the place and it's convenient for students. I love how the houses are built and the exterior is pretty impressive. Fabulous place and only for $65 a week. That's a steal. It's very ideal for students to rent an apartment or a house near the university for convenience. I, myself, have been looking for apartment for rent Makati. I really don't think anyone has put it that way before!. Your blog is definitely worth a read if anyone finds it. I'm lucky I did because now I've got a whole new view of this. Thank you! Lots of student try to going Australia. one of the best place for study .I see many student in Sydney they are not satisfy to their accommodations .Its difficult to find best accommodation near to university .